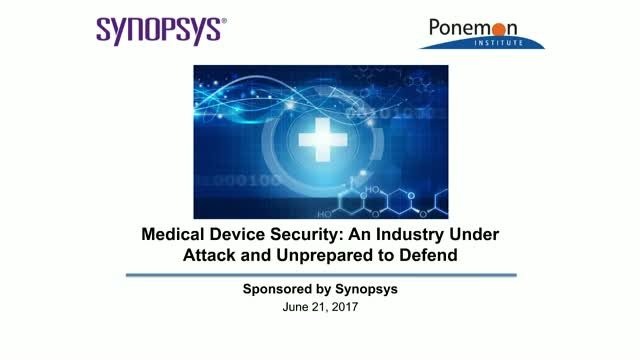 A recent survey commissioned by Synopsys was designed to understand the risks to clinicians and patients due to insecure medical devices. The resulting report identified some expected findings, but others were extremely surprising. For instance, 67% of medical device manufacturers and 56% of healthcare delivery organizations believe an attack on a medical device built or in use by their organization is likely to occur over the next 12 months. Join Larry Ponemon of the Ponemon Institute and Mike Ahmadi of Synopsys as they discuss report highlights. They will also provide insight and predictions regarding the future of security in the medical device and healthcare industries.